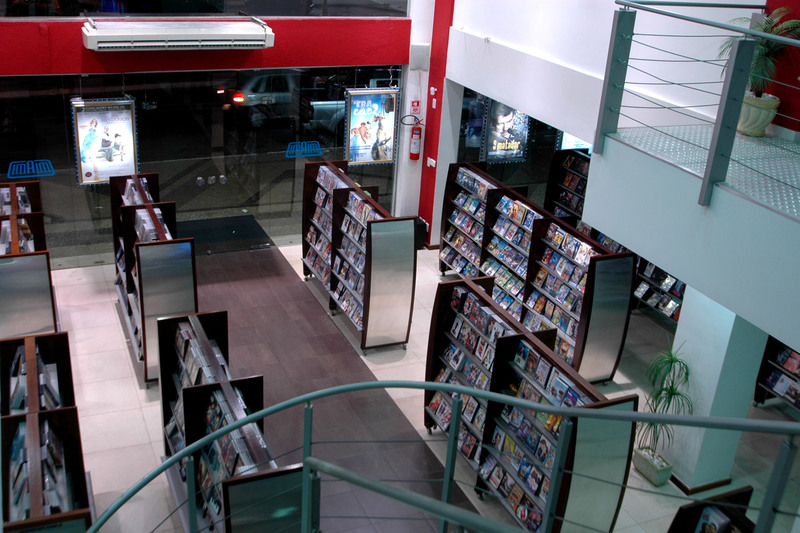 Miami Video is a company who works with the entertainment business, and video rental for 16 years. 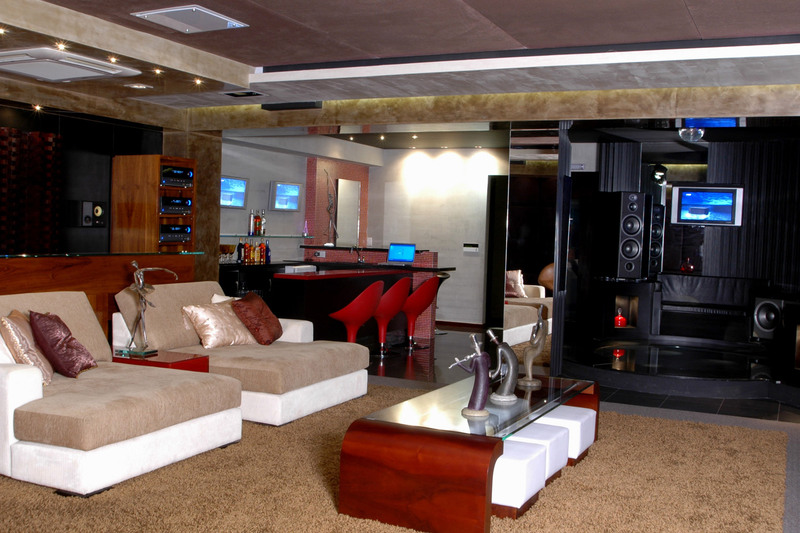 Recently they have added a new branch to their business, selling high-end A/V systems. 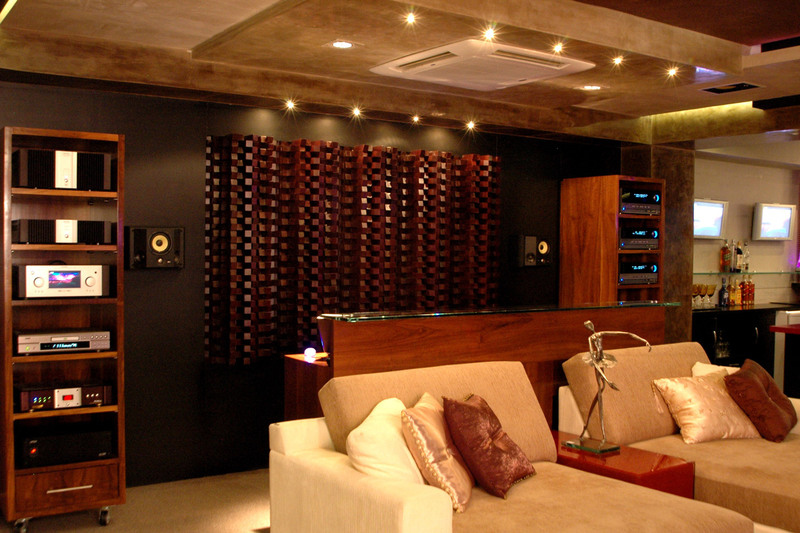 In order to expand the new business, the company’s owner, Eduardo Fleury and WSDG, developed a new partnership to create a state-of-the-art show room using the technology applied with the most modern acoustical spaces. The total area of 1200 sq. 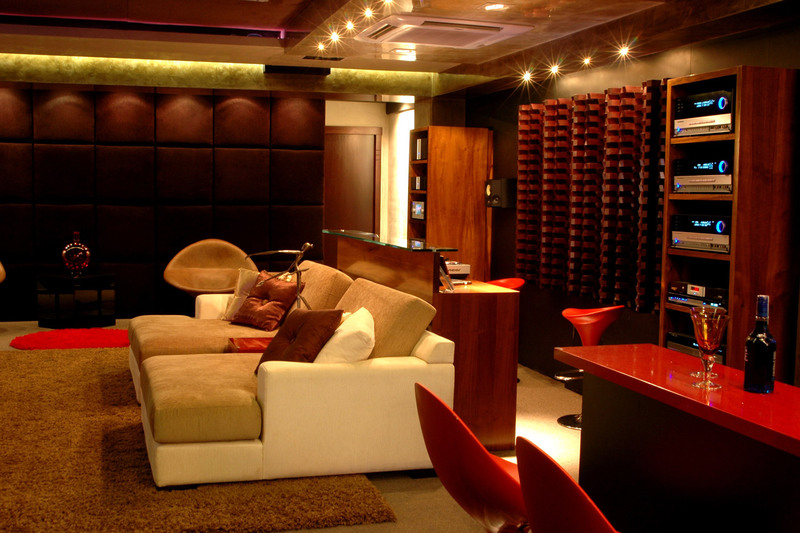 ft. was transformed into a modern Show Room, divided in three spaces: Home Theater, Club and a Bar. 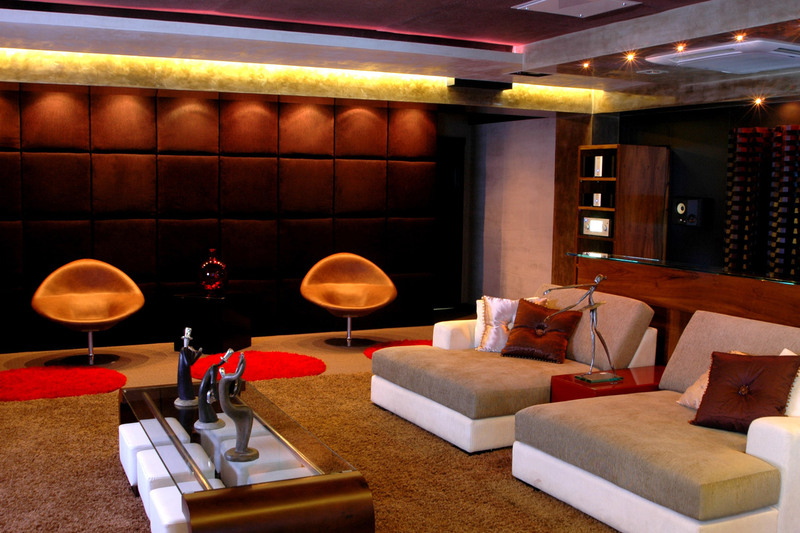 The idea was to create an entertainment area of a residence. 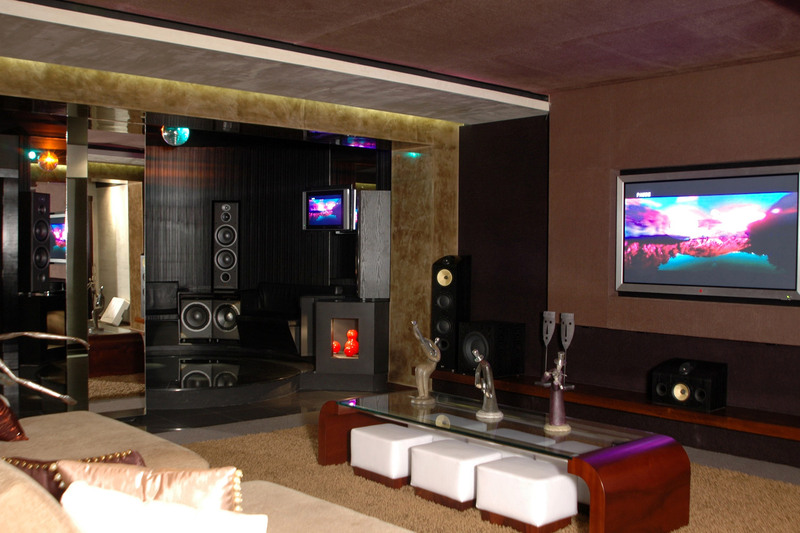 The Home Theater area was carefully treated to receive an A/V high-end system, with a projection screen and a 60” plasma. 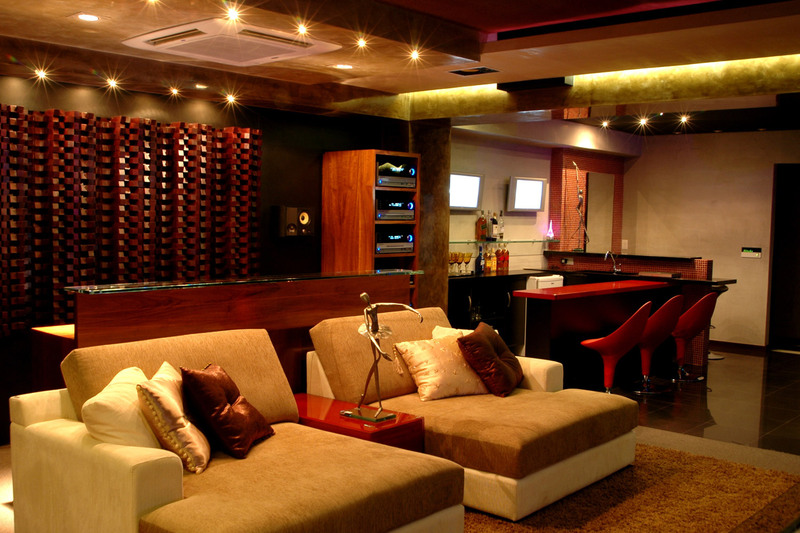 5 LCD screens were installed at the club area and at the bar corner, receiving their image, from the main video system. 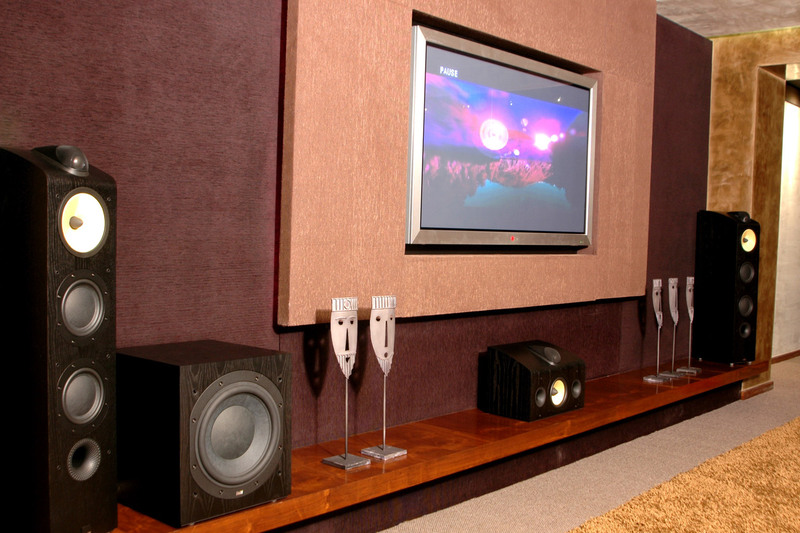 To achieve the acoustic balance throughout the space, the frontal wall received broadband absorption panels; these panels are responsible for the absorption of mid-high frequencies. 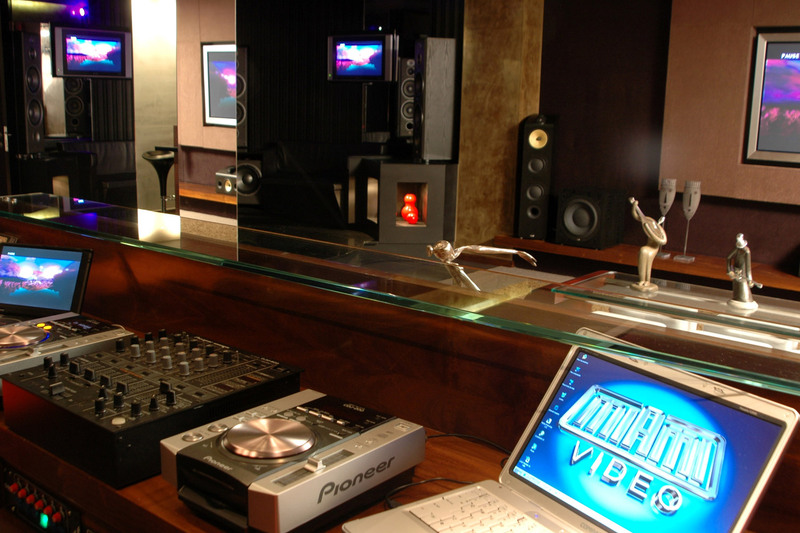 The backwall of the room received a bidimensional wood diffuser that creates a beautiful effect with the architectural lighting, enhancing the image of the equipment racks and the 7.1 surround monitors. 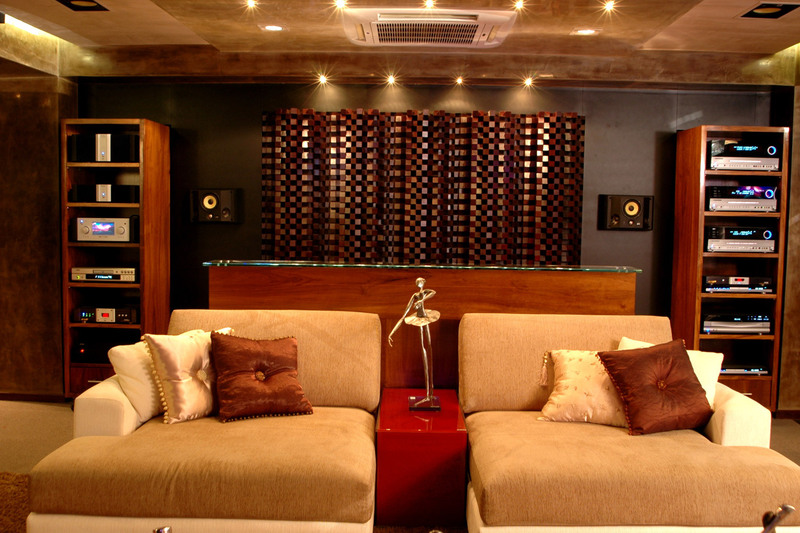 To minimize the effect of acoustic cancellations of the first reflections, a fabric panel was installed at the sidewall which works as a mid-high absorption and a resonator for low-frequencies. 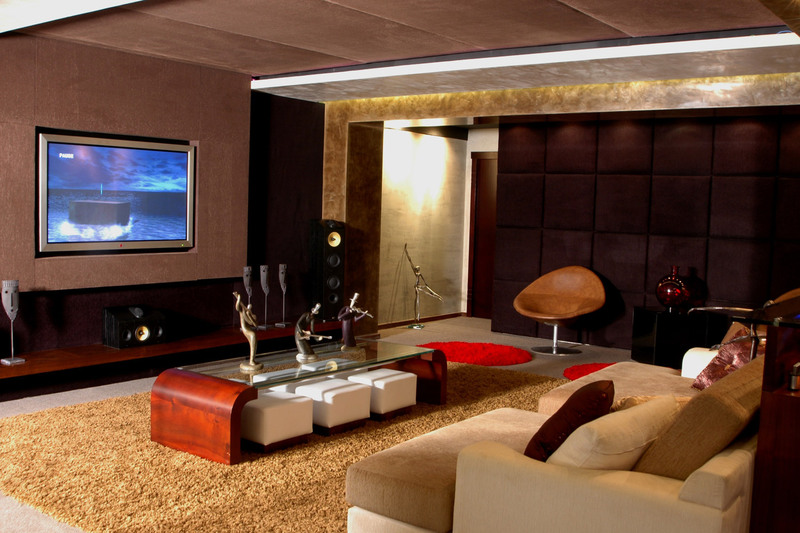 Each one of the elements of acoustic treatment was carefully chosen, to promote a balance time and frequency response of the installed audio system.